To create the perfect night clubbing experience optimum club acoustics is paramount. Without correct club acoustics, even the most expensively furnished club may not be an enjoyable place to spend an evening. SonaSpray K-13 & K-13 special acoustic decorative finishes in black are very popular for clubs and bars. When applied to ceilings SonaSpray K-13 black controls the club building acoustics, gives ideal conditions for lighting control and in a darkened space the height of the ceiling appears infinite. SonaSpray K-13 Special recycled acoustic decorative finish was specified by R H Partnership in black (right image). 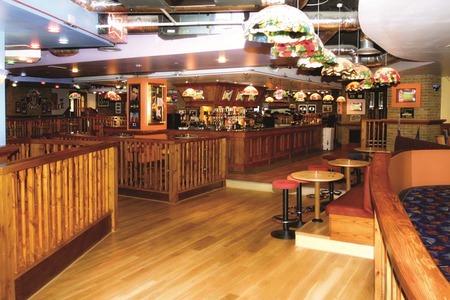 Oscar Acoustics applied it directly to the concrete slab at St Catherine's college in Cambrige to reduce noise reverberation as part of a basement car park conversion to a student bar and club. 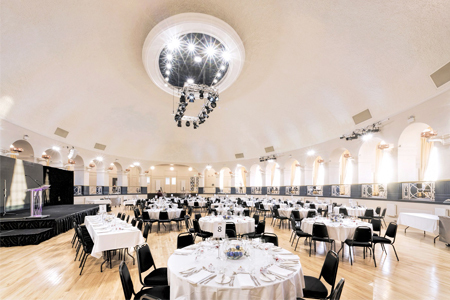 SonaSpray K-13 applied over a reinforcement mesh during the refurbishment of the Winter Gardens Pavilion, Weston-Super Mare in order to acoustically treat and decorate. We have a range of 5 acoustic finishes from textured to the smoothest acoustic plaster available. Photo credit to Mitch Duncan Photography. 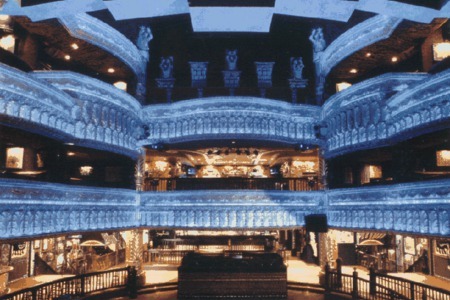 The House of Blues features a large stage with elaborate sound and lighting and a restaurant. 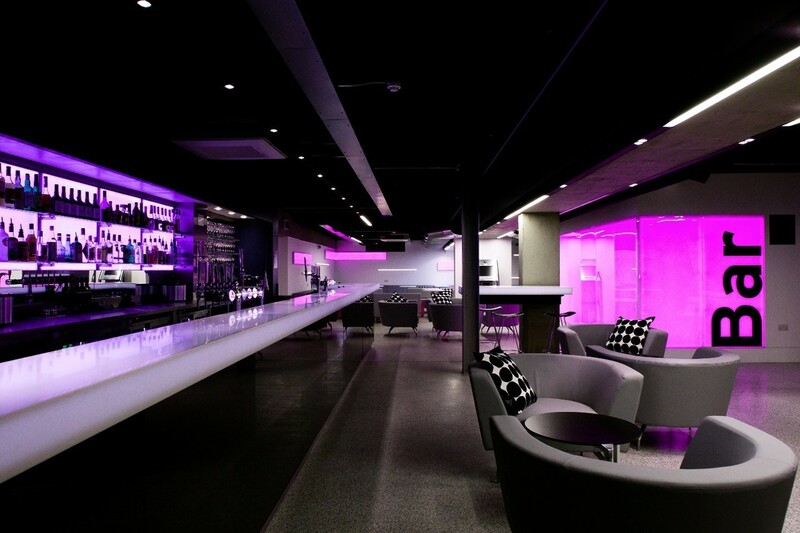 For perfect club acoustics, SonaSpray K-13 Black noise reduction insulation was sprayed to the concrete ceiling which rises more than 12 metres above the floor of the club. Oscar Acoustics Solves Noise Problems at Gillingham F.C.